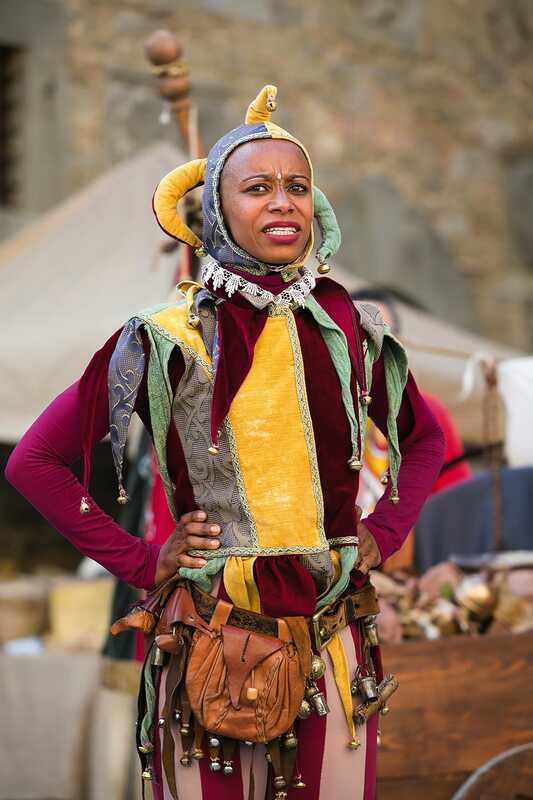 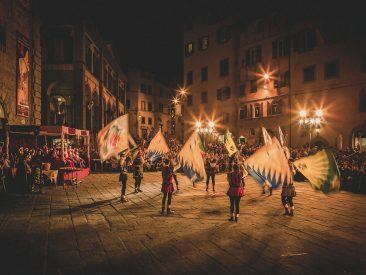 The Archidado Joust traces its origins back to the Middle Ages and was officially created in 1397 to celebrate the wedding of Francesco Casali, the Lord of Cortona, and Antonia Salimbeni, a noble woman from Siena. 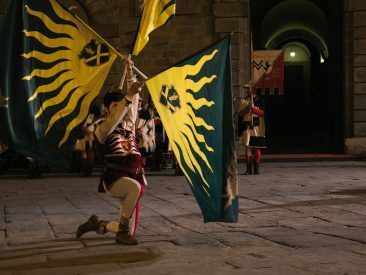 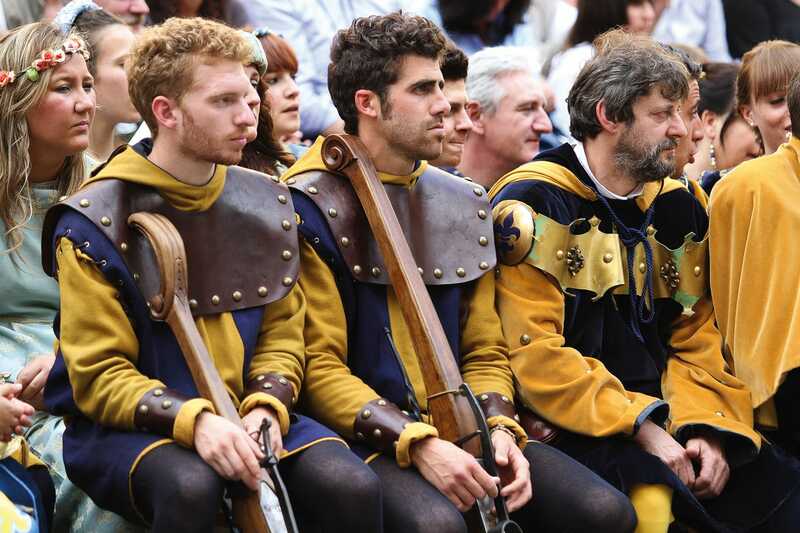 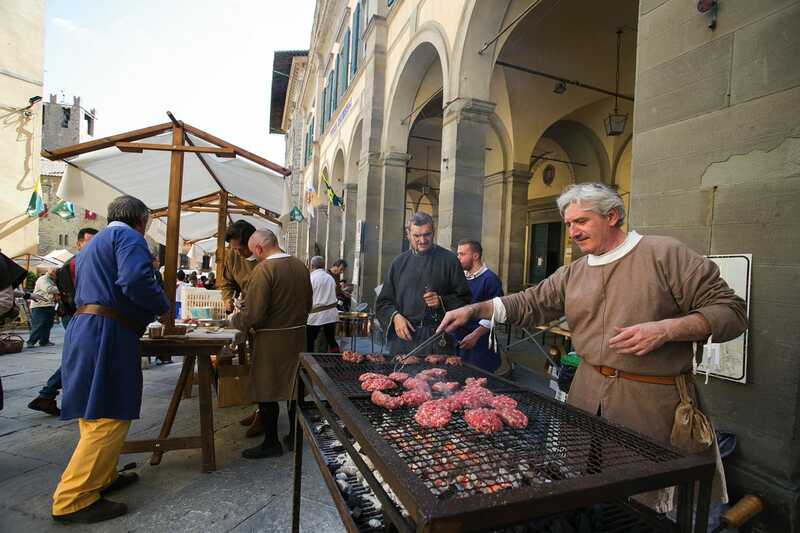 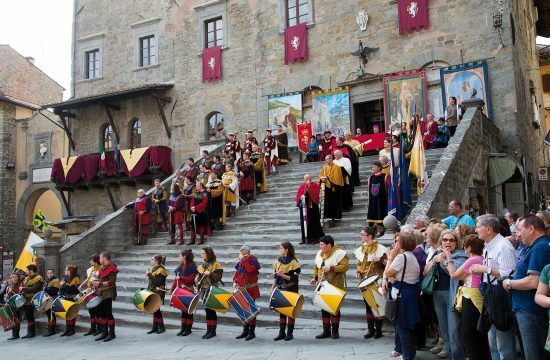 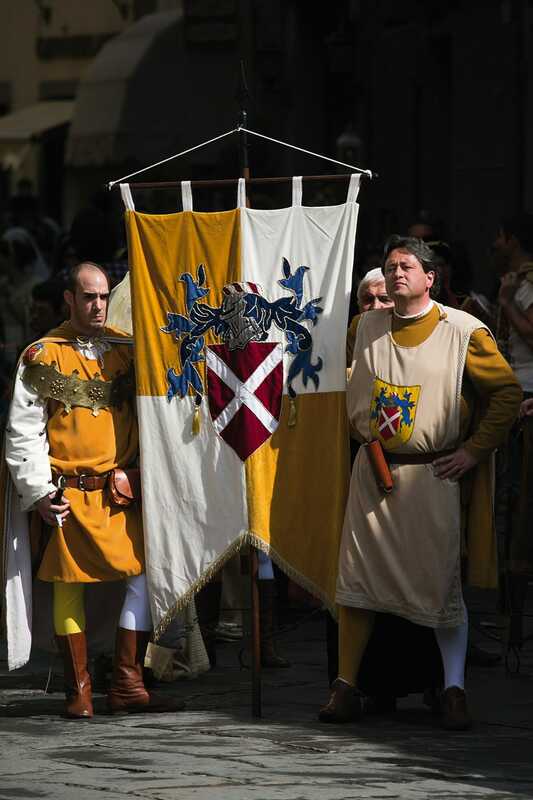 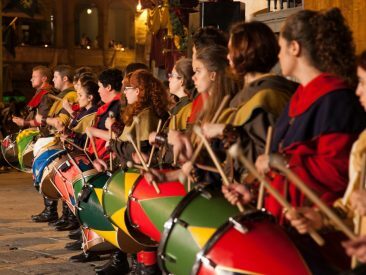 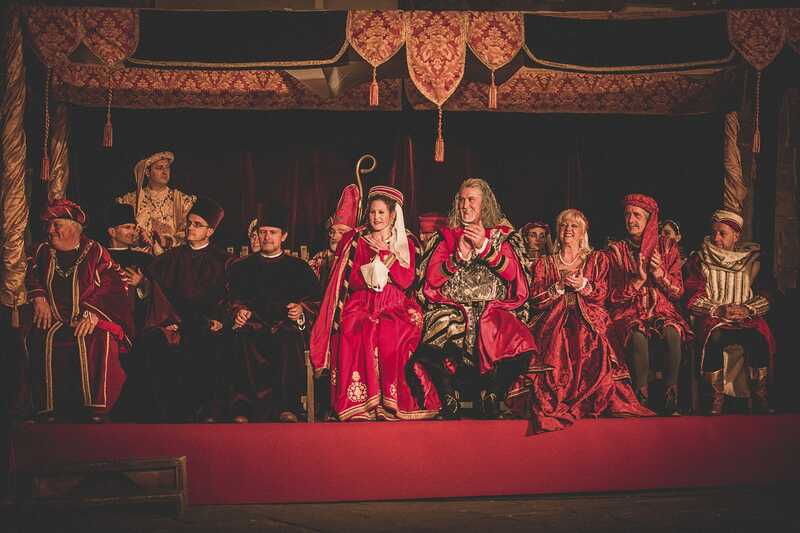 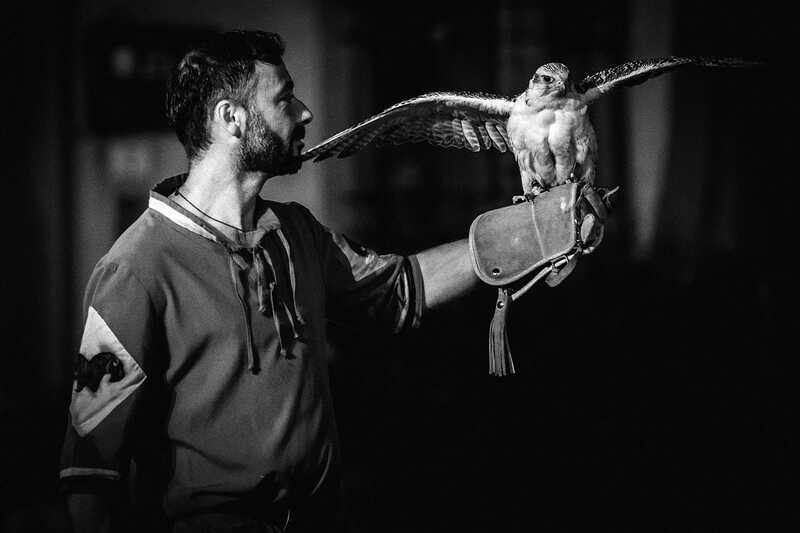 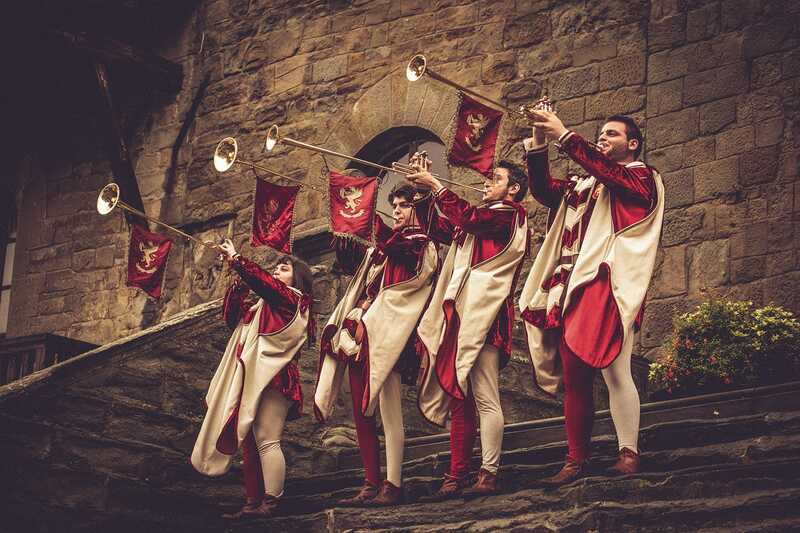 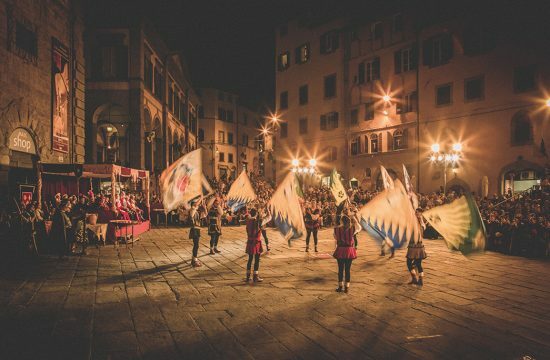 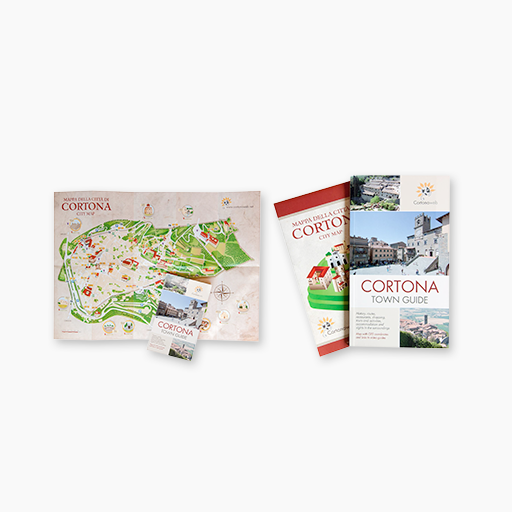 In the city of Cortona, this historical event is recalled every year on the first Sunday of June, when people are brought back to the ancient medieval splendor of the city. 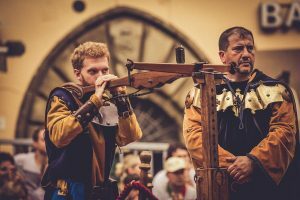 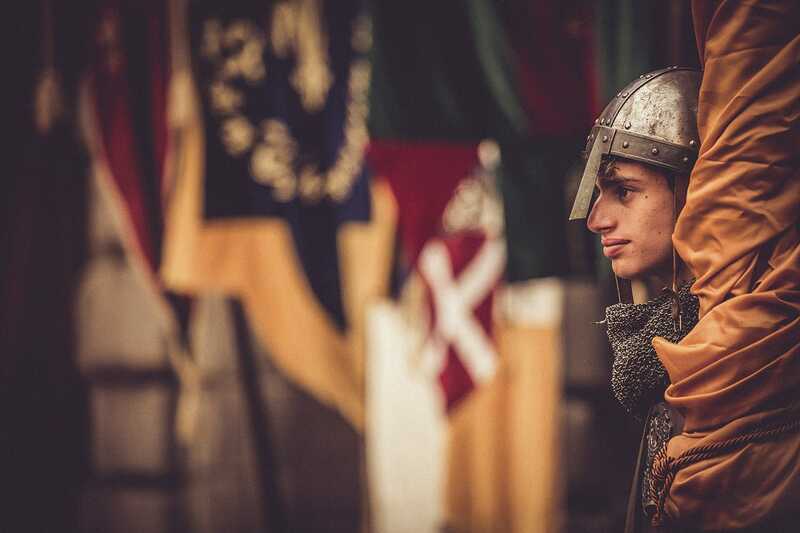 The streets are decorated in medieval style, ladies, knights, flag flyers, crossbow shooters, soldiers, pages, civil and religious authorities, all dressed with fine costumes, liven up the city center, which is rich in history and artistic beauties of every time. 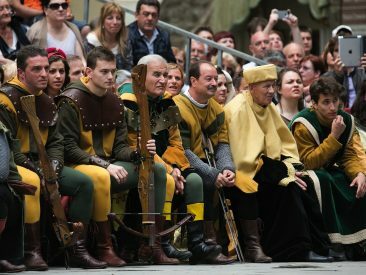 The Council of Terzieri is really proud of recreating this joyful atmosphere and hopes that the striving competition for winning the golden arrow called “verretta” will emotionally involve not only the five quarters but the whole city, for a moment of genuine joy and funny craziness that makes us going back to the past. 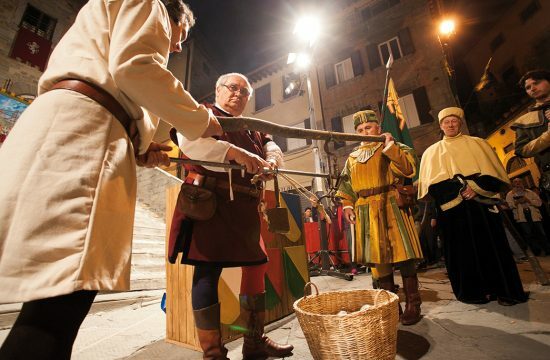 The events related to the Archidado Joust are always anticipated on the Friday and the Saturday before the Feast day of Santa Margherita in May (which changes according to the religious calendar) by the so-called “Colata dei ceri” (casting of candles) and “Offerta dei ceri” (offer of candles) to Saint Margaret, two religious practices dating back to 1325. 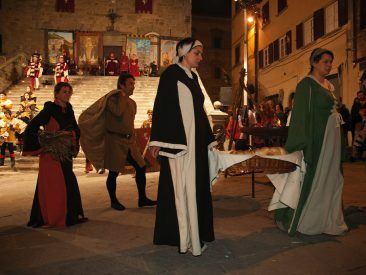 At that time the Feast Day of Saint Mark and Saint Margaret, patron saints of Cortona, were particularly solemn and compulsory offers of candles were guarded by three men chosen by the vicar. 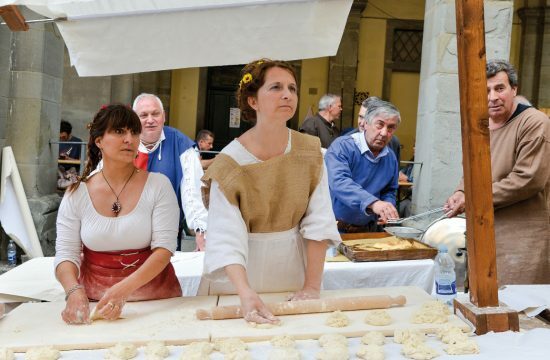 The collected wax was partly used and partly sold in order to earn money for the two churches. Lots of believers came to Cortona to celebrate the two saints. 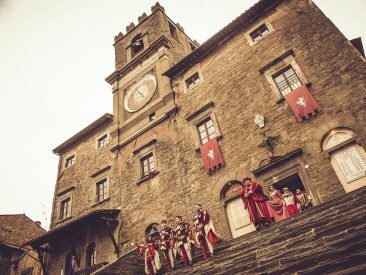 Men were housed by the inhabitants, while women were lodged in churches. 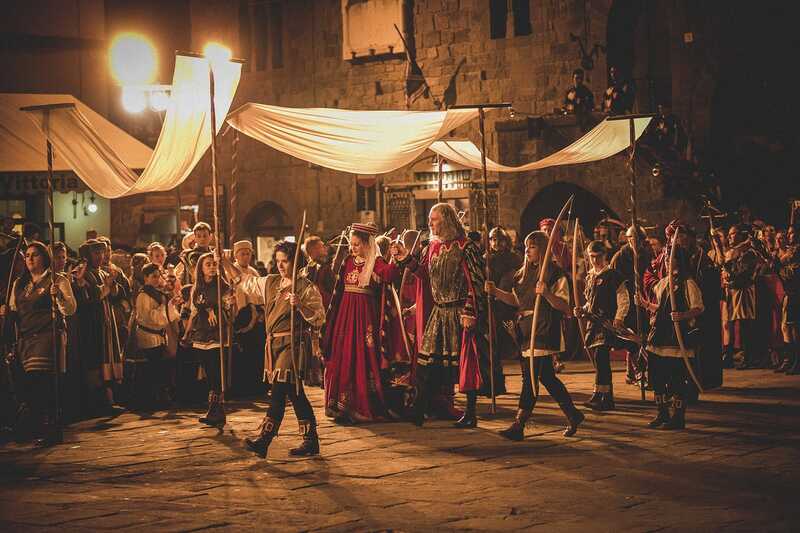 Jousts, weapon and flag shows came always along with religious ceremonies, as they are presented today for the Archidado Joust. 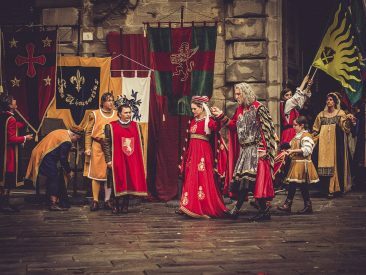 As for the history of the Casali family, our famous fellow citizen Girolamo Mancini has written in his book “Cortona nel medioevo” that young Antonia Salimbeni arrived in Cortona on January 8th, 1397. 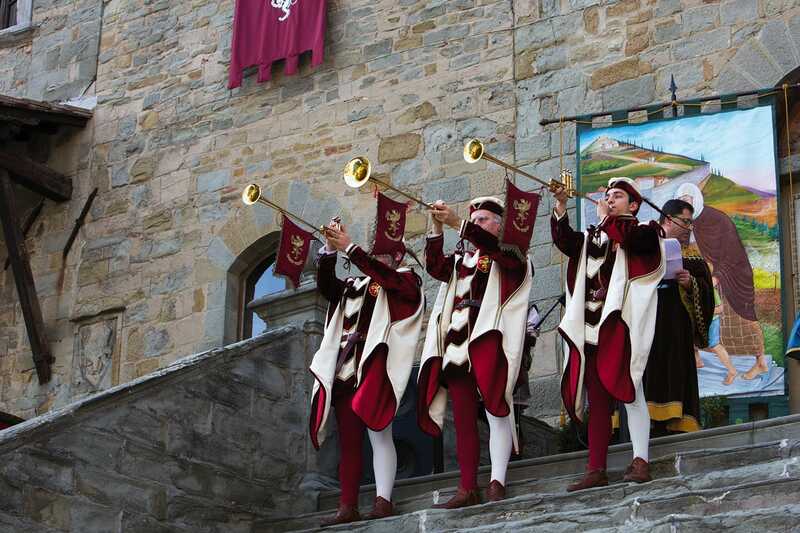 Many nobles from Florence, Castello, the Trasimene and Rimini attended the wedding, everyone followed by horses, trumpet, fife and other instruments players and fencers. 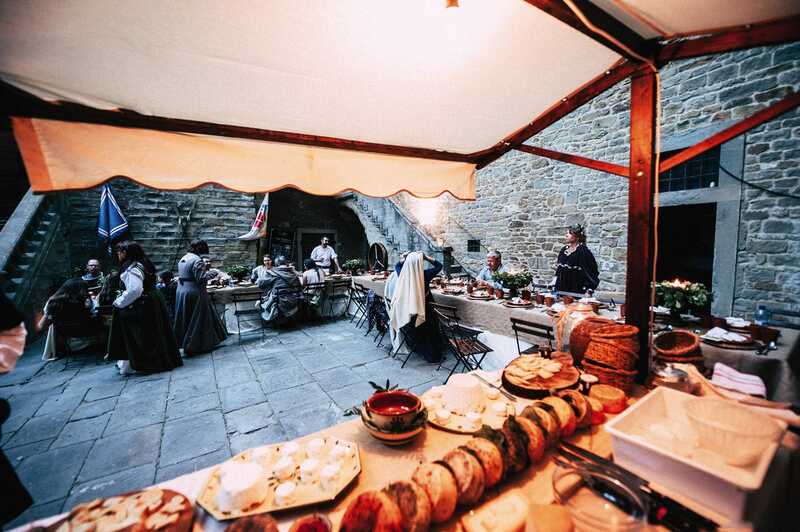 All the families of the area, even the humblest, offered sweets, chickens, birds and fodder for horses. 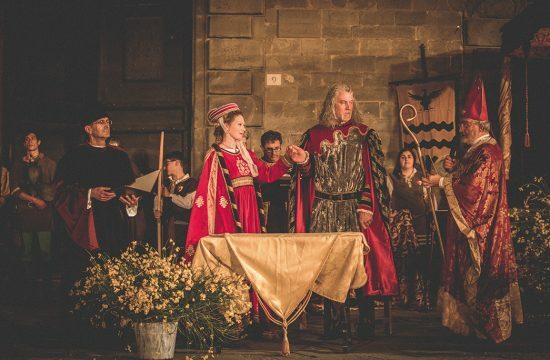 Jewels, tissues, gold and horses were some of the presents. 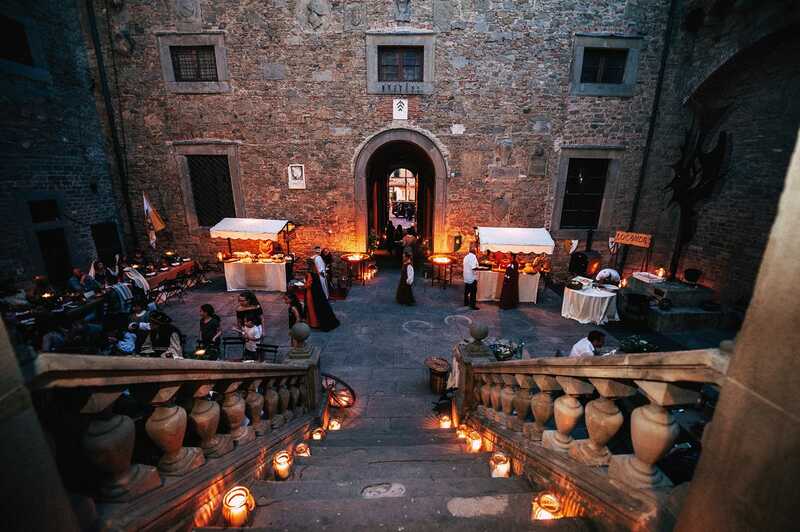 The citizens lent beds, tables, household linen and flatware to furnish Palazzo Casali. 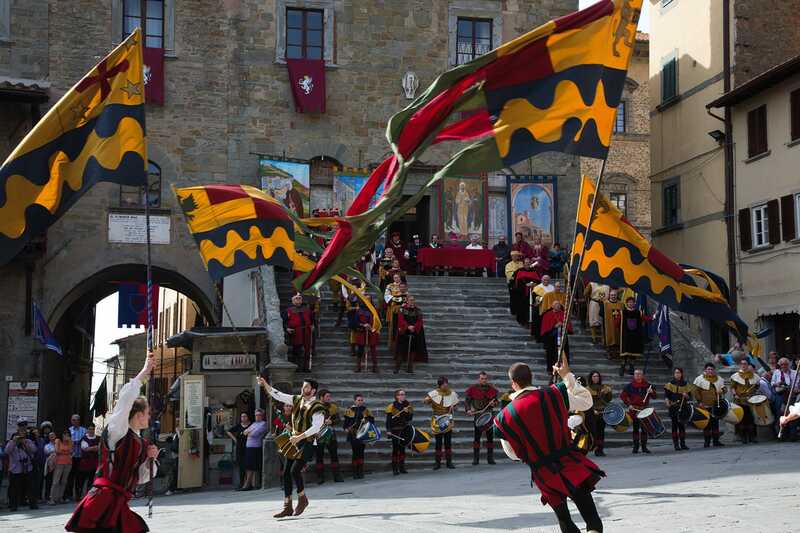 Dances, weapon and flag shows were held during the celebrations and are well presented today for the Archidado Joust. 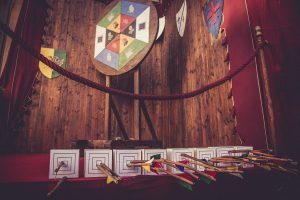 Two crossbow shooters for each of the five quarters (S. Maria, S. Vincenzo, S. Marco e Poggio, S. Andrea and Peccioverardi) must shoot at a target made up of different sectors, which give positive points from 1 to 5 and negative points from -1 to -2. Shooters have two turns each at their disposal and must stand 20 m from the target. 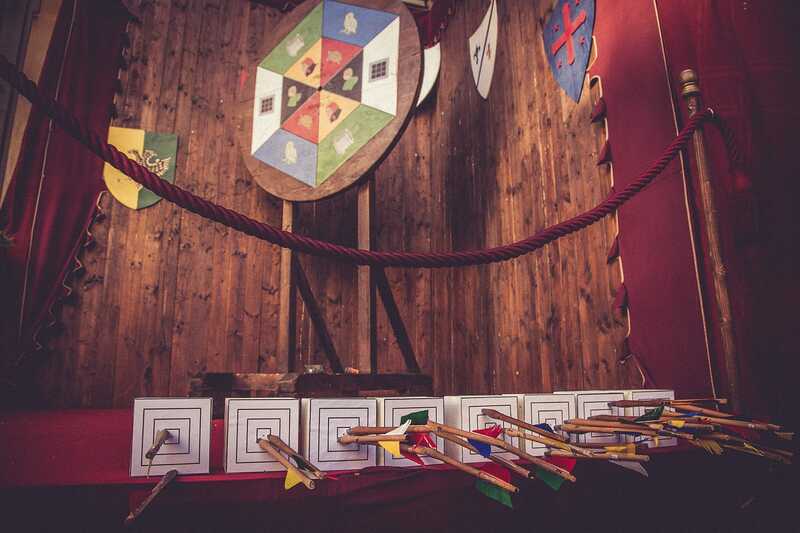 The scores are confirmed by two judges, who award the winner a golden arrow called « verretta ». 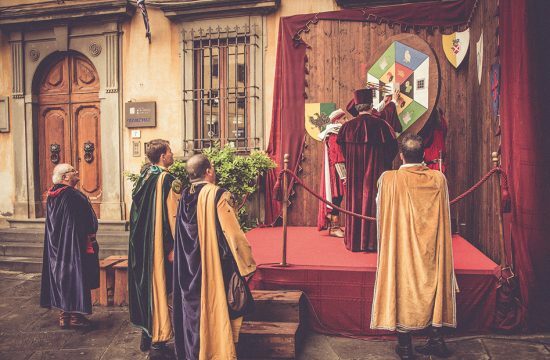 The Archidado Joust takes place every year on the first Sunday of June. 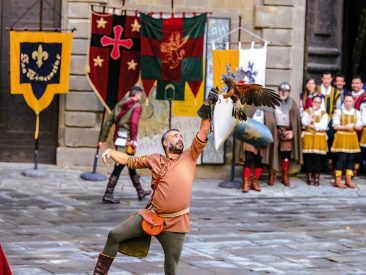 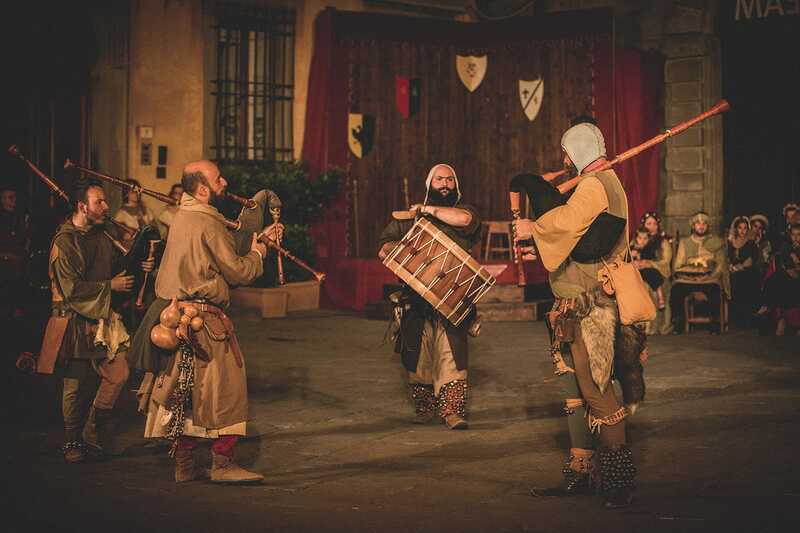 For further information about the calendar of events related to the joust, please visit the following website: www.giostraarchidado.com.